This is a unique micro controller based versatile product suitable for use with ripple tank and wave demonstration accessories for accurate signal and strobe generation. The product has one strobe output and two signal generator outputs which can be digitally set at different values even with 1Hz difference. 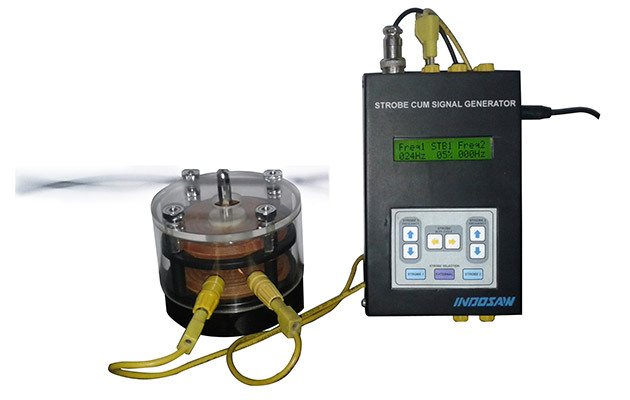 The strobe frequency can be synchronized with any one of the signal generator outputs as well as from an external signal generator source. Additionally one of the signal generator can provide output at 1800 phase difference. It is provided with a wide range of accessories for ripple tank, spring, rubber cords, steel strips etc. to comprehensively demonstrate wave phenomenon. 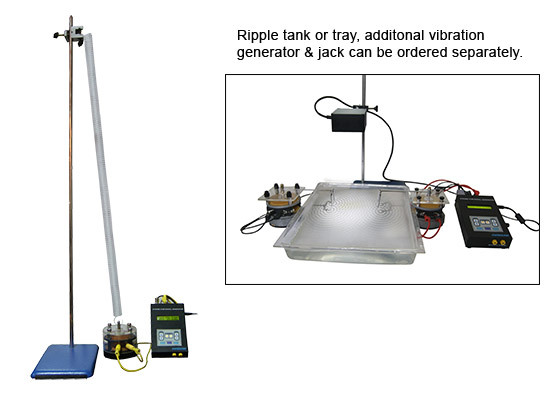 * Note: Ripple tank or tray, additional vibration generator & jack can be ordered separately.